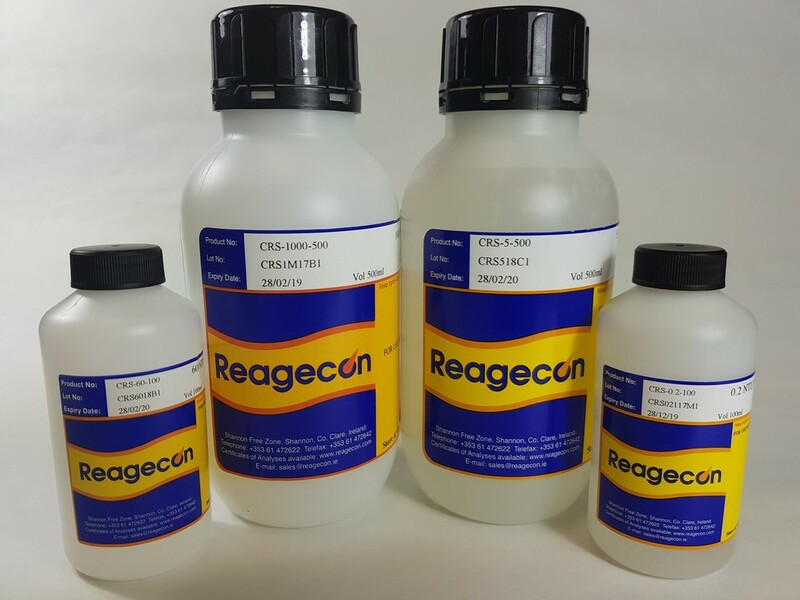 Reagecon 40 NTU Non Ratio Turbidity Standard is a suspension of polymer microspheres. The product is extremely accurate (± 1%), has guaranteed stability throughout its entire shelf life, even after opening the bottle. The product is NIST traceable and US EPA approved. It is designed and formulated to overcome the adverse safety, accuracy and stability issues experienced with other Turbidity Standards, primarily formazin based Turbidity Standards.